Considering a degree working on large-scale construction projects? Ranken’s Building Systems Engineering Technology program provides hands-on training. Does a career in building systems engineering sound right for you? You’re the kind of person who looks at a large, complex project and wants to know how each piece works. You have a pragmatic, analytical mind. You don’t just want to make things work –your projects are models of efficiency. You like the challenge of figuring out how to make different systems fit together seamlessly. Does this sound like you? If so, a degree in Building Systems Engineering Technology could be the path to a successful and rewarding career. As a building systems technician, you will ensure the reliable and efficient performance of increasingly high-tech mechanical, electrical and plumbing (MEP) systems. Why choose Ranken for MEP training? Building systems engineers use computer-aided drafting and 3D modeling techniques to design the mechanical, electrical and plumbing (MEP) systems for large-scale construction projects. These skilled technicians design the building systems for complex facilities, adhering to national codes and anticipating challenges in the construction process. They may collaborate with engineers or work with mechanical contractors in the design and construction of building systems. 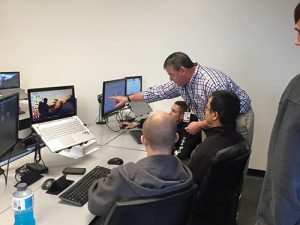 Instruction includes computer-aided design (CAD), building information modeling (BIM), load and energy calculations, air distribution systems, hydronic and steam systems and lighting design. Students use industry-standard software, including the latest versions of AutoCAD® and Autodesk® Revit®, to conceptualize and develop building plans. Sustainability and environmental regulations are emphasized throughout the curriculum. 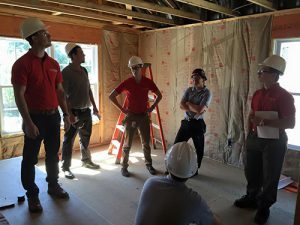 In addition, Building Systems Engineering Technology graduates learn to design building projects in accordance with the National Electric Code and Uniform Plumbing Code.